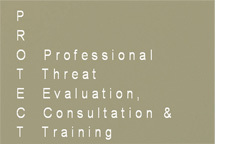 Minnesota Threat Assessment and Forensic Professionals, Inc. is a private practice founded by Kristine Kienlen, Psy. D., Licensed Psychologist. Our team of consultants are dedicated to providing the highest level of expertise in forensic and employment evaluation, consultation, and threat assessment services. Our work in both the public and private sectors has involved comprehensive and objective forensic psychiatric assessments of thousands of individuals for Minnesota District Courts, attorneys, employers, colleges, and others. We have years of experience and expertise evaluating individuals who have engaged in threats, harassment/stalking, sexual offenses, and other serious violence. We are dedicated to providing services targeting early intervention, comprehensive assessment, and violence risk management of individuals who have engaged in threatening behavior or violence in the workplace, in school, or in other areas of the community. Civil Commitment Evaluations to determine whether individuals are at risk of serious danger to themselves or others due to mental illness, chemical dependency, or developmental disability.